Well....tonight is the second "Totally Totes" Stamp Camp here at my humble abode. I had 12 stampers come and create on Saturday and there are 12 more coming tonight!! I'm SO excited! I'm also glad you guys like this project as much as I do. The variations on it are endless! Here's the sample I made for tonight's class. I have been working on a few new projects for spring and Easter and will be sharing those soon so stay tuned! How cute! They are going to LOVE these samples! 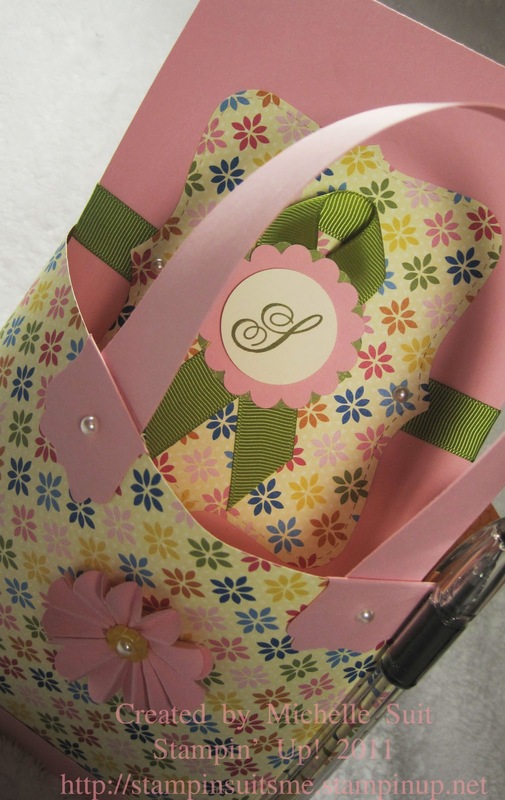 Can't wait to see what you design for Spring and Easter. 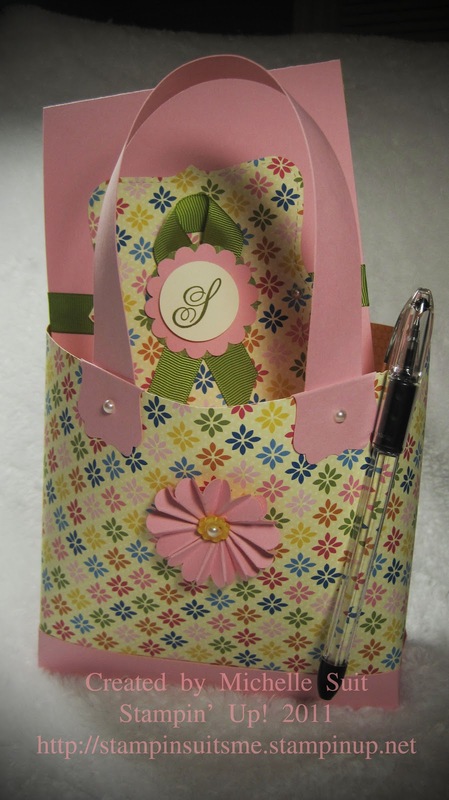 How can I get the pattern and directions for this adorable tote and notepad? I love it! How can I get the pattern and directions for the tote and notepad? It is too cute for words!